I recently contracted with a builder to do some work on the Hyperica hyperport, and created a new provider agreement for the project. At the start of the project, before we had negotiated any terms, there were a bunch of options to pick from. The ones that were relevant to our project are included in this agreement, and might be relevant to yours, as well. Click to open then save copy. In the United States, most companies have an EIN — an Employer Identification Number — provided free by the IRS through a quick-and-easy online application. An EIN allow companies to hire employees and open bank accounts. If a company is a single proprietorship — which most freelance designers are — a Social Security number serves the same purpose. The reason you need this information is that content design is a business expense, and you will be deducting it from your taxes. If you get audited, the IRS will want to know who you paid the money to. If you pay more than $600 to a particular designer, you will also need to file a 1099 form at the end of the year. Outside the U.S., you should replace this part with your local equivalents. Sections 1 and 2 of the agreement are where you spell out what you expect from the designer, and when. Be as specific as possible here. The vaguer you are, the more likely it is that there will be room for misinterpretation. Do you need OAR files? IAR files? Regions of particular sizes? Buildings? Other types of content? The template includes some of the things that people usually forget about, including sketches for the proposed build, a palette of colors and materials, and a navigation plan for the build. Set up a schedule of when you expect everything delivered. For large builds, it’s best to do this in phases, with payment linked to successful completion of each phase. That way, if a project is going completely wrong, you’ll know early on, and can cancel the agreement and find another provider before you get in too deep. Sections 3, 4, and 5 spells out all the rights and licenses involved. To start with, you need to have the provider make sure that they have the rights for all the content they’re providing you, either because they’re creating it from scratch, or because they have the proper agreements for the third-party content they’re using. If you have any doubts at all as to where your provider is getting their stuff, ask them to start with a blank slate of public domain images, scripts and objects. The Linda Kellie collection is a good place to start. Having proper provenance is particularly important for schools and corporations who might be attractive targets for content infringement lawsuits. You can also provide your creator with a budget that they can use on the Kitely Market, which does an exemplary job of protecting creator rights. This part should be non-negotiable. If a creator can’t guarantee provenance of content, or be willing work within a limited selection of pre-approved, safe content, you should get another creator. What you can negotiate is what rights you will get to what the creator builds. If at all possible, ask for “work for hire” or “all rights.” In the U.S., “work for hire” means that, for all effects and purposes, you created the content yourself. You own the copyright, and you can do anything with the content that you want. In jurisdictions where “work for hire” contracts aren’t legal, you want to default to an “all rights” contract which is almost the same thing. In particular, it means the creator can’t reuse the stuff they built for you with other clients. But maybe you don’t care if your content is unique. Say, you’re hiring someone to build a classroom. Do you care if a school on the other side of the planet has the same exact classroom? If you don’t care, ask the creator for a discount in return for more limited rights. You get to save money, and the creator gets to resell the same work to other clients. Finally, Section 5 also covers some other rights-related issues. For example, even if you have a “work for hire” contract with the creator, you may allow them to take pictures of the work — or actual copies of the work — to use in a portfolio. That way, future customers can see the kinds of things this particular creator has done in the past. This section also covers attribution. Some creators just want to get paid. Others want to see their names up in lights. Discuss this up front so that nobody’s feelings get hurt. 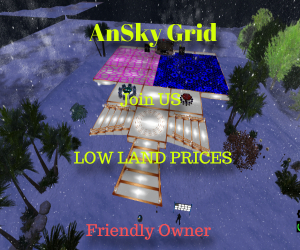 You might also get a discount if you agree to put the creator’s name or logo in a prominent location on the build. Sections 6, 7 and 8 cover how much the creator will get paid, when they get paid, and how they get paid. Being clear and specific about this up front will save a lot of headaches down the line. One thing you might want to spell out is who pays the fees for any money transfers. As a general rule of thumb, the customer pays any fees associated with sending the money, and the vendor pays any fees associated with receiving the money. So, for example, with a wire transfer, the originating bank might have a fee to send the wire out — the customer pays this. Then, when the wire is received, money may be taken out by the intermediary and destination banks — the vendor covers that part. Similarly, for PayPal transactions, the charge comes out on the vendor side — there is no fee to the customer for sending the money. If the creator wants to have these fees paid by the customer, they should be included in the total cost of the project and spelled out up front. Sections 9, 10, 11, 12, and 13 are pretty standard for this type of contract. The vendor agrees that they’re an independent contractor, not your employee, indemnifies you against any costs associated with problems that they have caused — such as copyright infringement. It spells out the country whose laws apply, who will cover legal costs if there’s a problem, and, finally, says that there are no side agreements. The agreement is licensed CC0, for anyone to use, edit, or distribute without restriction.